OK, then it must have been when they changed Kirk from being a great leader to making him just an overhyped criminal, constantly breaking the rules and violating the laws, coupled with all this phony ‘science;’ that would have fit better in a fantasy movie and has no place in the kind of realistic science that trek is known for… “The Search For Spock”. OK, I get it….those are movies, obviously, a film will take a radical departure from what a television series did. Comparing the television series to films is comparing apples to a fruit orchard. It is the SERIES that matter. And I remember the complaints the fans had for the various iterations of Trek. So, clearly, it was “Star Trek: The Next Generation” that screwed it up. Shatner et al were still alive, dammit! You didn’t need to create some whole new show with a bunch of random nobodies. And how stupid IS Paramount? You have a British guy playing a French Captain, they put a KLINGON on the bridge, they completely screwed up the uniforms—not only did they change the style, they fouled up the colour scheme…COMMAND is the Gold tunic, you morons!—and the uniforms were SO screwed up they had to change them AGAIN, because of the cheap looking production values. They couldn’t even put it on a network….they went straight to Syndication. And whose idea was it to have a BLIND guy flying the ship? IDIOTS! …OK, OK… a couple of seasons in and we were wrong. TNG is a worthy successor. Star Trek lives on…for now. Here’s DS9…a show designed to kill the franchise. In order to make Star Trek different, they get rid of the ship altogether. How can you have a show about space exploration if they don’t go anywhere? It’s stupid. And the station looks NOTHING like the space stations we have seen up to now. Did you see those hideous monstrosities they use for shuttlecraft? Oh, excuse me, I mean ‘runabouts’….sure, call a shuttle on steroids designed by a crack head by a different name, that makes it ok…NOT! And there is a Trill on the crew…only; it looks NOTHING like the Trill we already saw on TNG. These writers don’t give a damn about canon, they are just slapping the Star Trek name on some crappy show about a space station…basically, it is a generic rip off of Babylon 5 disguised as Star Trek in a shameless money grab. And now there’s a WAR? THIS IS NOT STAR TREK! Star Trek is about Peaceful exploration, not war and NOT about life on a stationary outpost. 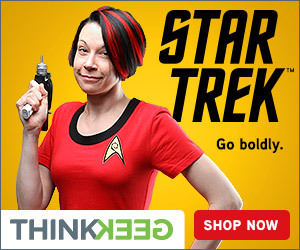 This will kill Star Trek. Oh, wait, let’s do a new Star Trek show, even though the one we have right now is Excellent. 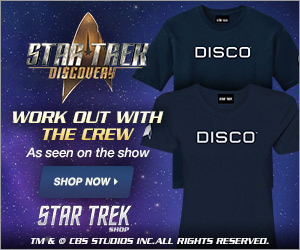 Stupid to run another one…why not just bring back TNG if you want two shows? What the hell is this? ‘Voyager’? The Probe from TMP was called Voyager, that’s a stupid name for a manned vessel. If you are going to have a ship, why not make it the ENTERPRISE? Oh, look, a Vulcan officer….just ripping off TOS and trying to sell it. And half the crew is made of space pirates…what decent captain would let such scum on their ship? That Captain Janeway…. what a lame choice for a captain. She isn’t tough enough to be a captain, not like Kirk, or Picard, or Sisko after he shaved his head and took the job SERIOUSLY. Wait, that’s how it ends? What about all the loose threads? Why can’t we see what happens next, after they get home? They were one of the best crew, made it through so much…bring back, Voyager! OK< this show Enterprise….what a disgrace. No wonder the UPN network tanked, those guys have no clue what fans want! The first ship to be called Enterprise was the Constitution class….and if this is supposed to be a prequel at the beginning of the Federation, that should be a Daedalus class ship, not that abomination that is a rip off of the Akira and has NO PLACE in Trek’s history. 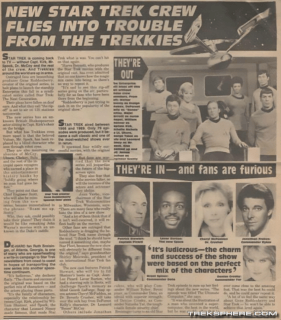 These writers obviously don’t know anything about Star Trek, and don’t give a damn about canon…just throwing in crap we already know, or adding adventures that were never mentioned in other series…how could a crew have all these discoveries and it never ONCE gets mentioned by Kirk or Picard? This show will kill Star Trek. …yeah, I remember those comments. Fans REALLY dislike change, and they are sure to let you know it. And now, here we have a new Star Trek series. One that is building on what has come before, but still giving us new and interesting stories and ideas. A diverse cast talent from across the spectrum, updated F/X and stories that fit the spirit of Trek, while still having appeal to a more contemporary crowd. 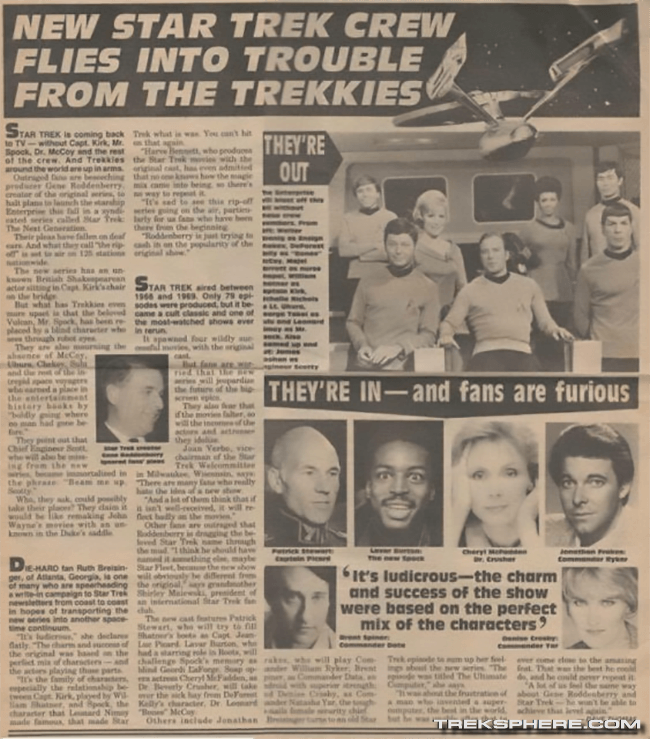 Despite all the changes and new shows that come out over the decades, it seems there is one thing about Star Trek that doesn’t change: the fans. Maybe it was the time they DID change.